Your CCC Handbook is something you should read. 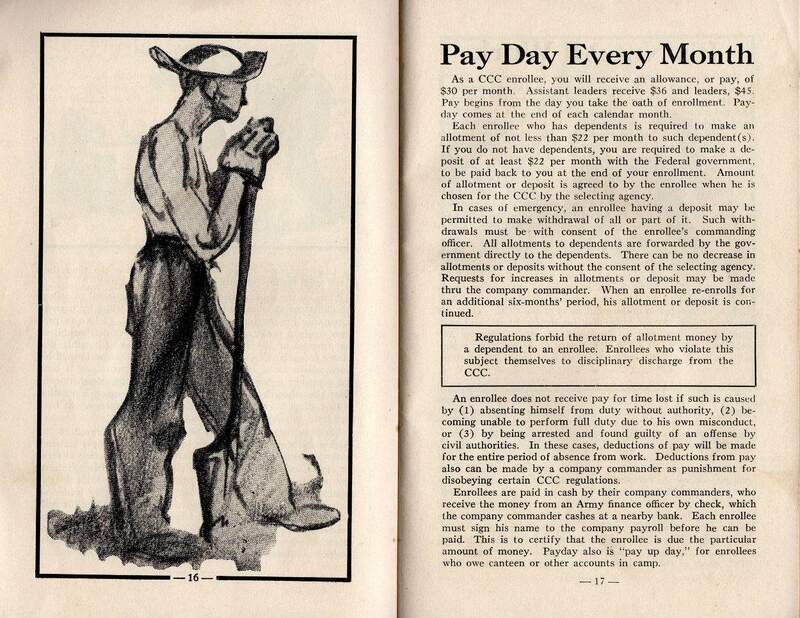 In the later years of the CCC a new handbook was published that contained about 100 pages. It has been digitized and printed for visitors to view. The original is also on display at the CCC Museum of South Dakota. A couple of the pages are included below. 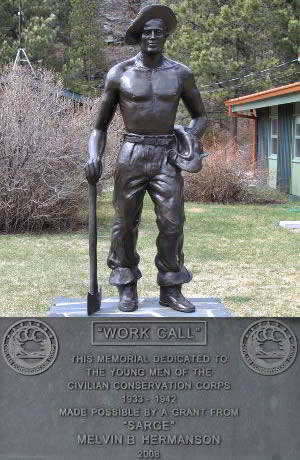 The Civilian Conservation Corps was organized in 1933. The law which created it was passed by Congress on March 31 of that year. This law authorized the President of the United States to form what was called, technically, Emergency Conservation Work. The president, in his message to Congress asking for such legislation, had referred to the proposed organization as a civilian conservation corps. Because of this, Emergency Conservation Work, from the beginning, was called the Civilian Conservation Corps, or more popularly, the CCC. The purpose was to be that of "relieving the acute condition of widespread distress and unemployment existing in the United States, providing for the restoration of the country's depleted natural resources, and the advancement of an orderly program of useful public works." On April 5, the president appointed Robert Fechner as director of the CCC and the enrollment of the first 250,000 young, unmarried men between the ages of 18 and 25 was begun. Included in this number were about 35,000 older men, selected, because of their experience, from the communities near each camp. These men became known as local experienced men, or LEM's. In May, the president authorized the enrollment of some 28,000 war veterans, to be selected regardless of age or marital status. Also, provision was made for the enrollment of nearly 15,000 Indians, to be employed in conservation work on the Indian reservations, and, later, for the selection of limited numbers of natives in Alaska, Puerto Rico, Hawaii and the Virgin Islands. During the first year, 293,000 men were enrolled in 1,534 camps. During the summer of 1934, when a severe drought hit middle-western and western states, an additional 50,000 men were enrolled from these states. In 1935, the CCC was further enlarged and reached a peak strength of 505,000 men in 2601 camps. By 1936, the authorized strength of the CCC had been reduced to 350,000 men, and 2109 camps. In June 1937, after the CCC had been in operation for four years, it became necessary for Congress to enact additional legislation for its continuance. This it did on June 28, 1937, continuing it for a period of three years, from July 1, 1937. By July 1, 1938 the CCC was reduced to 300,000 men and 1500 camps, not including Indians or those outside of the continental limits of the United States. 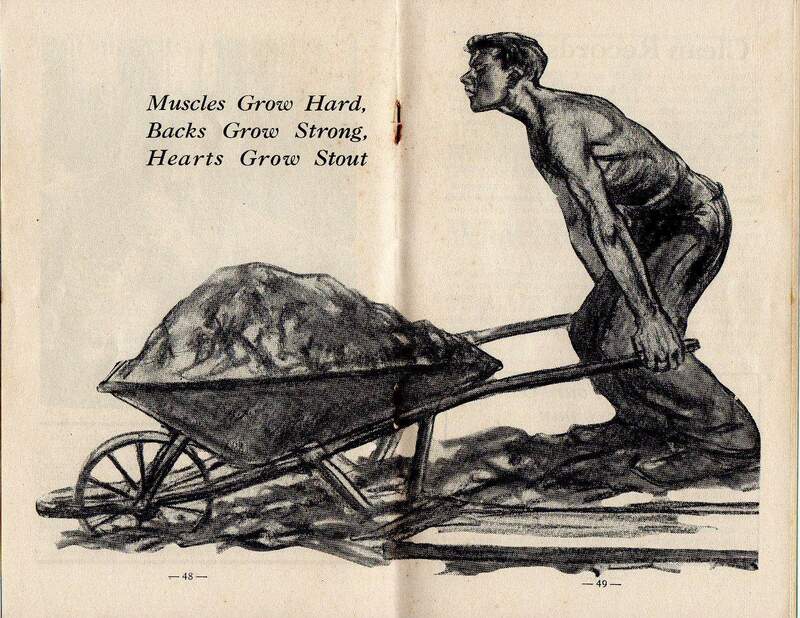 The first CCC man was enrolled on April 6, 1933, one of a group of 27,000 from the larger cities of the country. Between that date and July 1, 1933 some 293,000 men were enrolled. The first camp was established on April 17, near Luray, Va. Before the end of the year, 1533 other camps were established, in every state in the union, and in Alaska, Hawaii and Puerto Rico. The original Executive Order of the President made it necessary to give preference to those men whose families were on the relief rolls of the respective states. The 1937 Act of Congress permitted the enrollment of a man, otherwise qualified, who was, "unemployed and in need of employment." In 1936, the age limits were changed to include those between 17 and 28. In 1937, they were altered to include only unmarried, “unemployed, and in need of employment" young men between 17 and 28, except for war veterans and certain enrollees in each company for key positions, explained elsewhere in this book. At the beginning, enrollment was limited to a single six-months period. At the completion of the first enrollment period, the President authorized the re-enrollment of those men who desired to remain in the Corps. 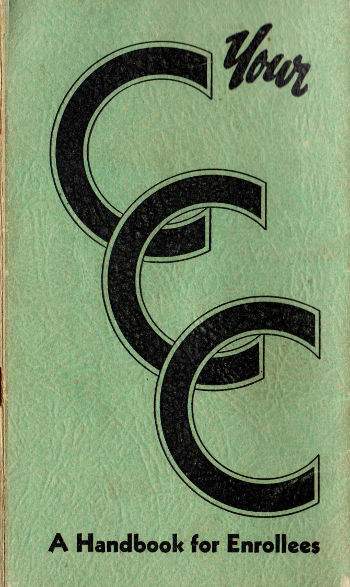 A number of men still in the CCC were among those who enrolled in 1933. The 1937 Act of Congress limited aggregate service, except for certain excepted personnel, to two years, dating from July 1, 1937.